Revolution Athletics is Long Islands premiere sports training facility with over 10,000 square feet of turf and the industries top of the line equipment. Our goal is to progress athletes in proper movement to reach their highest potential in their sport and as individuals. We provide them with the training foundation that they can continue to build upon throughout their athletic career. The Coaching Staff at Revolution Athletics invests their time in the success of their athletes. We strive to put Long Island athletes on the radar of the nations top universities, colleges, and professional teams. Our team specializes in creating hardworking, resilient, and respectable individuals. Our Pro Program is designed specifically for the athlete to maximize athletic potential.The program will focus on proper techniques for speed & strength training, while improving force production, explosiveness, agility, strength, balance, and stability. 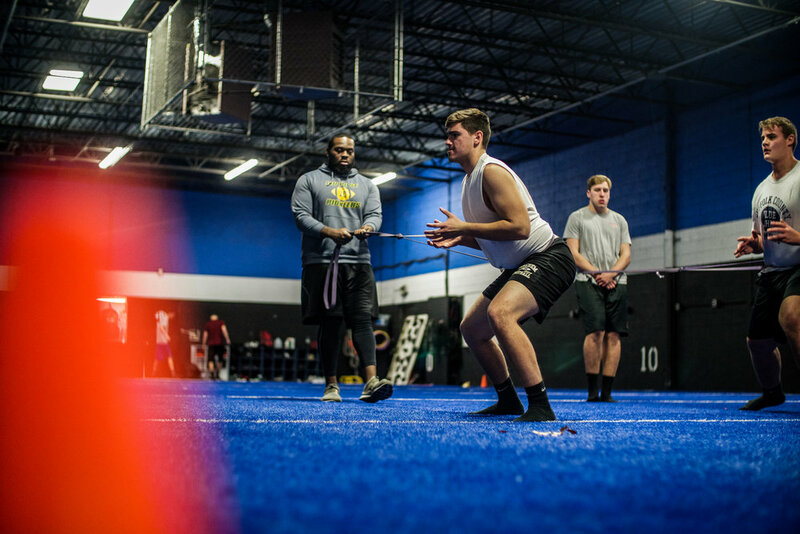 The College program at Revolution Athletics incorporates the most innovative training techniques in the industry to keep our athletes on top of their game. With talking with our prior college clients, our programs are designed to further advance their athletic abilities both on the field and in the weight room. As a collegiate athlete, you must be on top of your game consistently if you are to compete with the best in the country. We know the value of team camaraderie and its importance to having a successful season. Our team training programs will facilitate all your teams’ needs to improve their overall speed, strength, and conditioning. Revolution Athletics will customize training programs according to the age, sport, skill level, and specific strengths and weaknesses of a particular team. Our method of training incorporates 3 different modalities; Speed & Agility, Strength, and Recovery. Combining these 3 methods during athletes off season allows them to see steady improvement and avoid training plateaus throughout the training cycle. However, if an athlete is in season there is an emphasis on Strength and Flexibility giving them the best opportunity to play at the top of their game toward the end of the season.